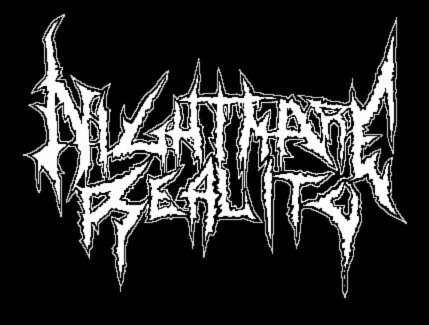 As you may already know, the Finnish death metal scene was a scene just as monstrous as the Swedish and American scene, yet for some reason, Finnish bands never got the recognition they needed. Although many Finnish bands sounded similar to Swedish bands, little notice that they actually have a distinctive sound of their own, and maybe that was the reason they despised and excluded. 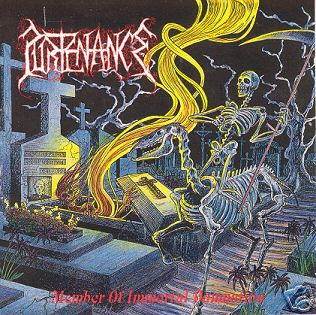 Purtenance, a band which was formerly known as Purtenance Avulsion, is a band that can easily add up to that list of unappreciated yet awesome death metal bands. Truly, Purtenance carry out that vile, atmospheric, melancholic Finnish DM signature sound perfectly, and this a record that definitely should be praised more as it carves out that gnawing, crushing death/doom tone and fuses it with the melancholy of the Finnish trademark sound. This album's depressing, filthy and rotten, and it's certainly not for the weak. Each blow of each riff is a drowning mammoth, a huge foot that buries the listener deep within it's inundating atmosphere, and each riff is just as crushing as it's depressing. The raw production quality and gnawing chainsaw guitar tone is also highly prevalent, yet, surprisingly, none of the instruments drown one another in that filthy mix since all of them are given equal amounts of space to consume, and the vocals are another tasty aspect that bludgeons the listener with grindcore-ish pukes and gnarls. One great thing about these Finnish death metallers is that they always tend to incorporate a fair amount of sinister melodies to increase the diversity of the riffs, and Purtenance is no exception. During the sequences which adopt more of a doom metal sound, brooding melodies fly in the air and spread chaos upon the riffs, giving a beautiful sense of feeling and passion to the listener while still haunting him/her. Not up for sluggish riffs? Well, don't worry, because ''Member Of Immortal Damnation'' has lots of fast paced riffs in store, just as much as it has doom laden passages. ''In The Misty Morning'' is one galloping death/thrash monster that bestirs that raw guitar tone with some Asphyx crunchiness and a hint of Bolt Thrower grooving. Yummy indeed. The best quality of the music here is that the speed of the riffs constantly change, so you've got lots OSDM tremolo bursts, and numerous death/doom sections. Everything on this album is totally obscured and every aspect is altered by the atmosphere, which may actually put off lots of people, but that's just the way the Finnish DM scene rolls. What else can I say? ''Member Of Immortal Damnation'' draws influences from many variations of death and doom metal, from the depressing lament on ''Black Vision'', to the mid paced Bolt Thrower grooving found on ''In The Misty Morning'' to volatile barrage of tremolo pickings on ''Crown Waits The Immortal'', each track comes with its own beauty, its own bitter aroma that's good enough to compete with even the biggest of Finnish bands like Convulse or Demigod. ''Member Of Immortal Damnation'' is definitely up there, up there with all the exalted releases that helped build death/doom.